Pick up a newspaper or listen to the news and the topic of “ethics” is present daily. This really isn’t anything new. Ethics has been a topic since the beginning of time. However, some might now say that they wonder if ethics exists. Good ethics begins with the hiring process and a solid orientation program for new employees. Not just an employee signature on a check list, but a detailed explanation of definitions and expectations. Sample scenarios will demonstrate to employees how they are to behave in similar situations. This is not a onetime training event, Ethics training should occur annually. And like all good approaches to changing and modeling employee behavior, the annual training and modeling of behavior begins at the top of the organization chart – CEOs and Boards of Directors – “walk the walk and talk the talk”. 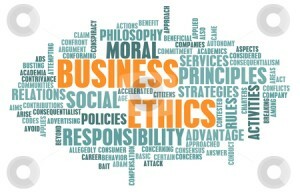 Consider talking to Compass Career Management Solutions about some of your ethical concerns. Let us discuss how we might be of help. Perhaps a workshop with exercises and role playing could help to bring this important topic to the forefront and start some good conversation among your workforce.